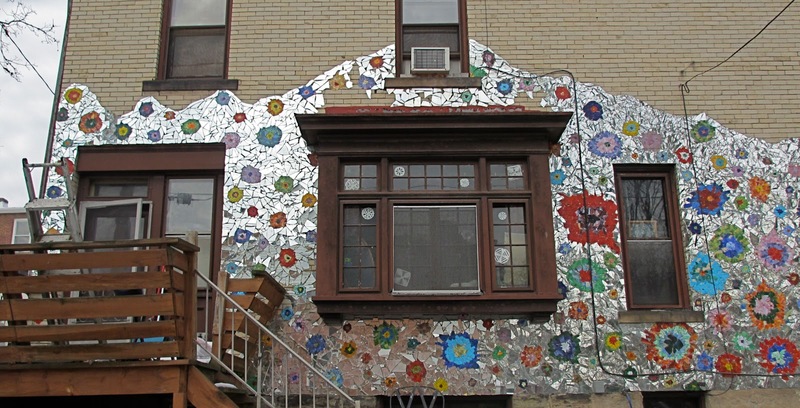 This home has a wall half–covered in mirror and glass mosaic pieces. 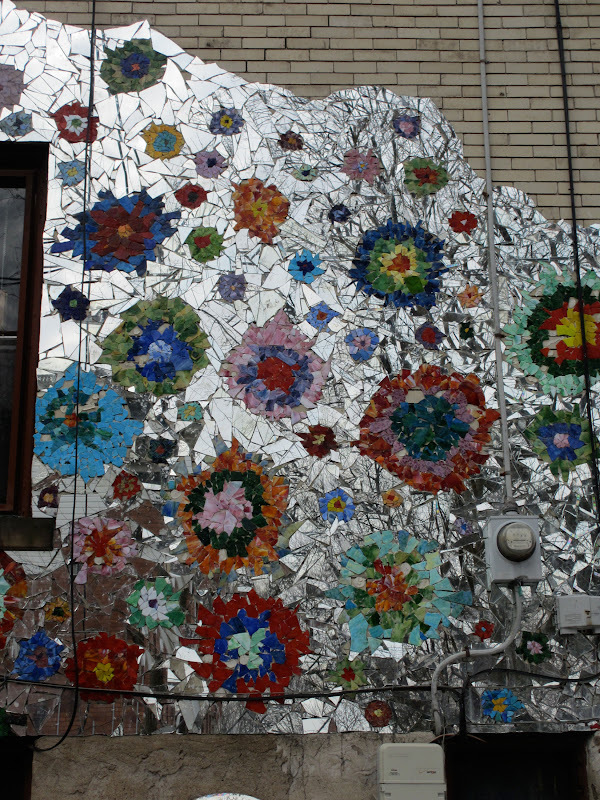 The floral motif is colorful and it looks like the artist responsible is working on it. There are a couple of mirrors leaning against the house and a few empty places where it appears that those mirrors might supply the pieces to the puzzle, but a lady that works across the street from this house said that it hasn't changed in years.